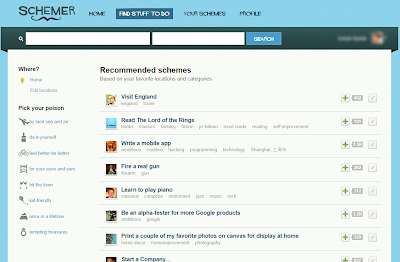 Google has again comes up with its new social networking service called "Schemer". A new way to explore, discover and share things with friends, with schemer people can Explore and Discover new schemes, Find stuff to do and Share them with friends and circles. Schemer provide users to do things which they don’t know and explore new places and stuff from their nearby, whether it’s exploring a new city or town, checking out a friend’s movie recommendation or just finding new activities for your weekends, you can do all things with Google' Schemer. 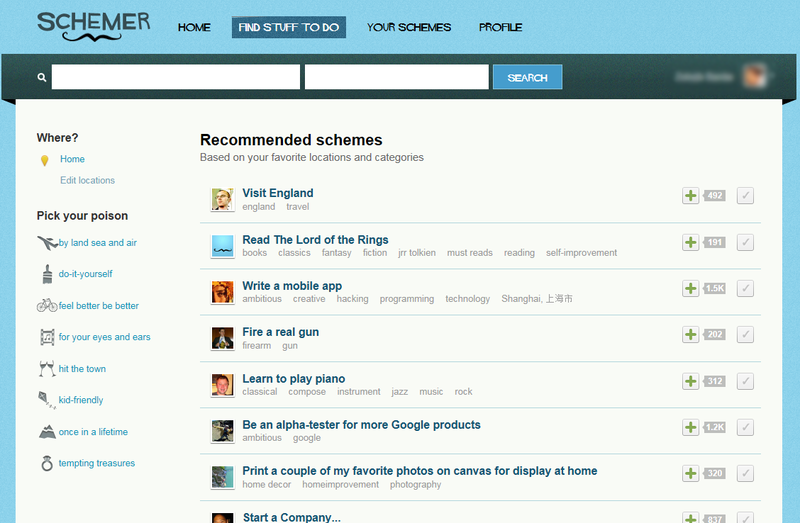 According to me Schemer is more likely Foursquare and Gowalla exploring websites, but with better user visibility with Google's Account and with Google+ integrated service. You can add your Google+ friends with schemer and share things with them. First user has to select their nearby place or location so that schemer can provide them all near places detail. Schemer is currently in an invite-only beta period, so only people with invitations from other users can join Schemer and it’s also limited with some cities and places. New user has to submit their e-mail address in their WaitList and has to wait to get personal invitation from Schemer to join it but if you guys dont want to wait further and wants to experience and join Schemer now than Leave your E-Mail Address in comments box, i will send you an invitation to join Google's Schemer.